Winter is well and truly here in the Northern Hemisphere now, and if you know where to look, the waves have been pumping! A little cold is no excuse to skip your dose of surf stoke, so here are 7 tips to help make cold water winter surfing more enjoyable. Whether you’re heading to Norway, Ireland, surfing at home, or even going down to Chile, cold water surf destinations often equal great waves with out any crowds. 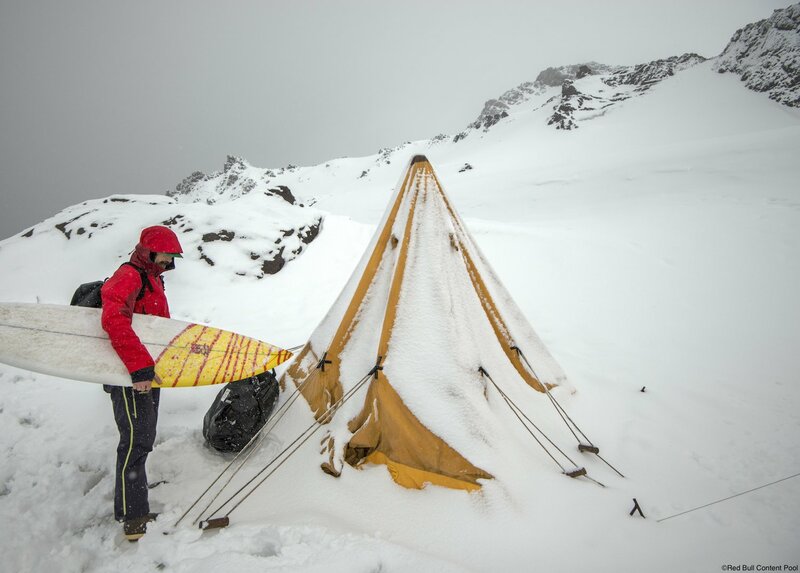 Here are 7 tips to make really cold water surfing more enjoyable. Forget the macho banter and get a good pair of boots, gloves and a hood too. You can’t surf if you can’t feel your feet, and stubbing clumsy toes on sharp rocks somehow hurts even more when your feet are useless lumps of frozen flesh. A good hood will help prevent both ice cream headaches on duck dives and the dreaded exostosis… No one wants a drill in the ear canal. Consider buying a couple of re-usable hand warmers, and putting them into your boots (on top of your feet) and in your gloves when it’s really cold. After your session just take them home and boil them for 10 minutes to re-activate the chemicals. Don’t set yourself up for failure before you’ve even started. Fuel yourself properly before your imminent gladiatorial contest with the ocean with a good dose of complex carbs, protein and water. Make sure you’re warm before getting changed – blast the heaters in the car on the way to the beach. Layer up with a good down jacket for the pre-session surf check. Stretch and warm up on the beach before getting in the water. When you immerse yourself in icy water, your body’s natural defence mechanism is to reduce blood flow to your skin and extremities; the aim is to reduce heat loss from the skin, and keep warm blood in your core to protect vital organs. Unfortunately this can also make your hands and feet near-unusable – which rather defeats the whole object of going surfing. Warming up before heading into the water gets your blood pumping strongly right from the start, extending the amount of time you can feel your toes. This is also one of the benefits of heated suits – when your core is warm, your body feels less need to shut off blood flow, so your feet stay warm and functioning for longer. Spending a lot of time in cold water and strong winds is pretty disastrous for your skin and lips. No-one likes dry cracked lips, so do yourself a favour and rub in a liberal amount of moisturiser – the thicker and denser the better – before your session. Put a layer of Vaseline over the top to lock the moisture, and repeat after your post-surf shower. Your boy/girlfriend will be thankful. Winter normally brings bigger and better waves – why else would you brave the hypothermia and ice-cream headaches? There’s also a theory that cold water is denser, heavier and more powerful than warm, which when combined with your heavier and less flexible wetsuit, means you’re going to need a little extra help to get into the waves. Pick something a little bigger and with more volume than your normal summer board, and your sessions will involve more stoke and less beatdowns. Keep moving. The more you move and paddle, the warmer you’ll stay, and the more warm blood your body will pump around to your hands and feet. Race to make it over the top of cleanup sets and try to avoid duck diving as much as possible. When you’re sitting on your board, try tucking your hands into your armpits to keep the warm. Alternatively, hold your arms down at your sides with your hand turned out like you’re trying to emulate a penguin, and shrug your shoulders up and down: you can really feel how this forces warm blood down into your hands. If all else fails, remember all that water you drank earlier to avoid dehydration can double up as your very own mobile heating device… Yep, there’s something weirdly satisfying about peeing in a wetsuit (just don’t forget to wash it after!). Getting warm and toasty after prolonged exposure to the cold is one of the most exquisite feelings in the world, so make the most of it! 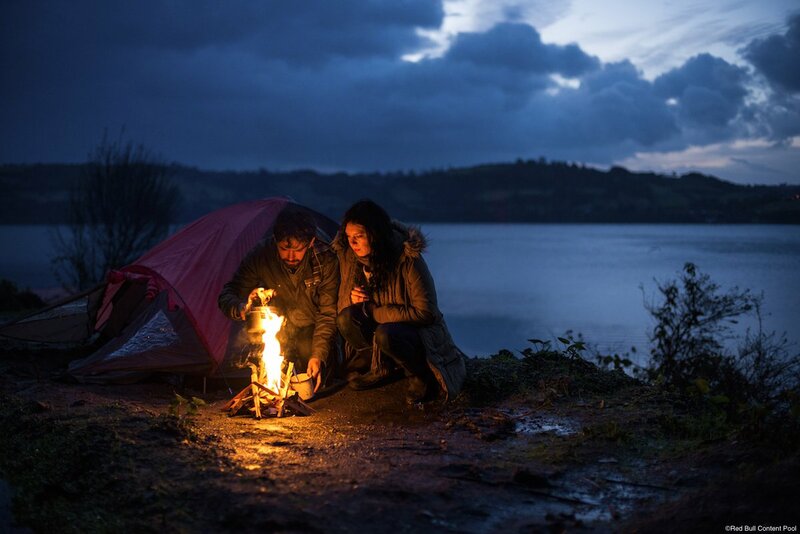 Wrap up warm in thick wool jumpers and a down jacket, build a fire on the beach, drink some whisky, fire up a camping stove and brew a pot of tea/coffee/soup, head to the pub for a pie and pint… Everything feels better after a good surf, and you’ve earned some creature comforts! Want to escape the crowds and try somewhere new, or just feeling a bit masochistic? There are some truly great cold water waves and surf destinations in the world, and if you’re willing brave the temperatures, you can often be rewarded with achingly perfect waves without any competition. Stick that in your pipe and smoke it, Bali! Chile’s picks up swell all year round, and so offers super consistent conditions. Trying to figure out what to do on the flat days is unlikely to be a problem. The sudden drop off of the land into deep water produces big, powerful surf suited particularly to experienced and pro surfers (although there are beach break options for less experienced surfers). Although Punta de Lobos annually plays host to one leg of the Big Wave World Tour, the breaks are refreshingly empty – so if you like your surf big and challenging but don’t want to fight it out with the crowds then this could be place for you. Sat on the top of a hill with incredible panoramic views, the stunning architecture of the Surf Lodge has been designed to emphasize the constant connection with nature. Surf Lodge Punta de Lobos is less surf camp and more design jewel, fitting perfectly into its setting. When most people think of Norway, they think of snow, fish and beautiful women; surfing rarely makes the list. 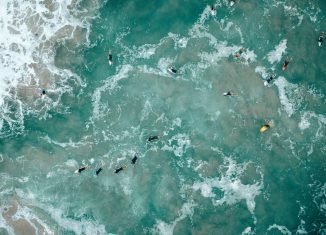 Yet for those in the know, Norway offers one of the most unique surf trips on the planet: it’s a special type of exotic, and the cold waters keep the crowds away! The consistent and playful beach breaks at Hoddevik are ideal for beginners (with Lapoint’s expert instructors on hand to help out), while more experienced surfers can find heavier, hollower waves at nearby Ervik. The rugged coastline hides a veritable treasure trove of waves, and you can pretty much always score a break to yourselves somewhere nearby. Located in Lofoten, Lapoint Surf Camp is certainly not short on scenery: think rugged mountains plunging down to crystal clear fjords, waves breaking onto eerily deserted beaches, and fir trees silhouetted against the bright lights of the aurora at night… The camp is in Stadt, an isolated outpost with no phone reception and no nearby shops, but despite that it has no shortage of amenities: post surf you can relax and socialise in the TV room or wood-fired hot tub, and there’s even a skate ramp if the waves haven’t tired you out. 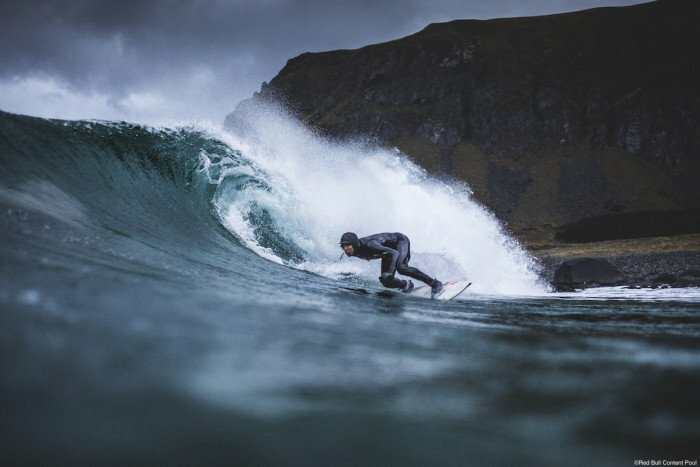 Located on the west coast of Ireland, Sligo faces the full brunt of the North Atlantic ocean’s wrath, taking advantage of the massive wave-fetch and powerful swells. 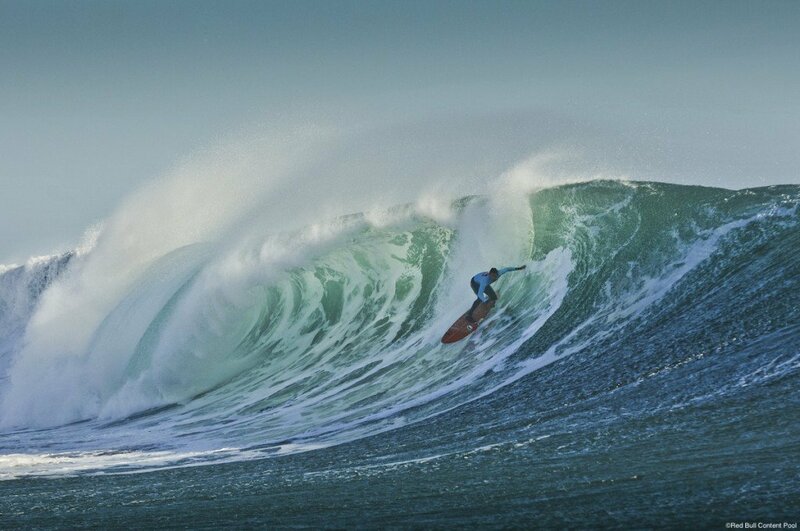 Great surf abounds, with waves ranging from the chilled, beginner-friendly Strandhill and Easkey Left to the towering winter behemoths of Mullaghmore, scene of several Billabong XXL rides. 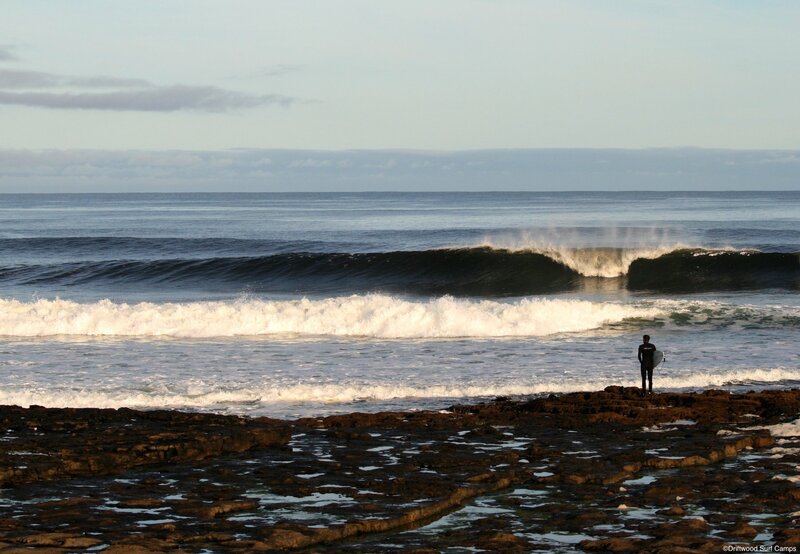 There are many breaks within a 30 minute drive, including the long lefts and powerful rights of the reef at Lislary. Ireland is a very underrated surf destination, receiving nowhere near the sort of recognition that France, Spain and Portugal get. Despite the fact that its coast is exposed to and receives exactly the same swells, the cold water tends to keep the crowds away… Ireland has world class waves, although not everyone knows it – get in before the secret gets out! Driftwood Surf Camps are hosted at the Temple House Luxury Country Guest House in Sligo, a gorgeous Georgian mansion set in its own 1000 acre private estate. With a plethora of great waves nearby, it’s the perfect place to enjoy the twin Irish post-surf specialities of whiskey and Guinness. If you have any questions or need advice about a cold water surf trip, please do get in touch with one of our surf travel experts!